There’s a rubbery note lurking in there too which is weird but not at all overwhelming. It’s like the faint smell of latex or perhaps it’s just tuberose in rubber mode. Tubereuse 1 has a lived-in quality from the beginning which I find extremely attractive. It feels mussed-up and broken down, like its been rolling around on the attic floor. It’s the scent of battered ballet shoes dipped in powder. Unlike a lot of iris-centric perfumes, it feels warm thanks to the protective covering of suede. In the heart I catch glimpses of bright white tuberose. Flashes of lightly indolic lushness that stand out against the grainy backdrop of iris, dust, saffron and suede. The drydown is a musky iris suede with a fine layer of cosmetic powder and chocolate. Again, there’s also a lingering floralcy. I think either gender could wear Tubereuse 1 well because it contains both masculine and feminine elements. It has a nice level of projection and good longevity. As much I love it, I’m not sure I could wear it for long because sadly I find it heady after a while. My tolerance to even small amounts of tuberose is still low, but Tubereuse 1 is highly compelling. It’s my favourite so far from the Histoires de Parfums line. It catches your eye, not caring that it isn’t conventionally beautiful. Flirting and sashaying in a shy. yet self-possessed way. Often perfumes are boringly predictable, so I love how offbeat it is. It takes time to fully get to know and appreciate its individual charms. Tubereuse 1 is a woman who doesn’t give away all her secrets on first try; she likes to tease. Not unlike burlesque icon Sally Rand and her famous feather fan routine, she smiles sweetly as she exposes herself a little at a time. If you want a fragrance that will keep your attention, draw you in and keep you intrigued then I’d highly recommend getting to know Tubereuse 1 Capricieuse. Have you tried Tubereuse 1? Do you love it too or would you have liked more tuberose? This entry was posted in By Tara, Floral, Fragrance Reviews, Histoires de Parfums and tagged Fragrance, Histoires de Parfums, Perfume, Review, Tuberose. Bookmark the permalink. Morning CQ! I’m not sure this is really your style but it’s not a fragrance that particularly grabs you on first try so it might be worth re-visiting. I love Tubereuse 1, and for all the reasons you describe so lyrical above :-). ‘The lived in quality’ and the warmth of the iris. I own a bottle and wear it on a regular basis. I also like T3, but it’s not as easy as T1, it’s not for nothing it’s called Animale I suppose. Yes, you kindly sent me some so the review is all thanks to you! Great review Tara. I love tuberose and iris so I really need to try this one. Thank you for making me aware of this. Thanks, Sandra. I hope you like it. I really think it’s good and I like that it’s a bit different. Michael, I’d be interested in how you get on when you re-test seeing as you’re such an iris fan. Have not tried this one but your beautiful review has got me really curious now. 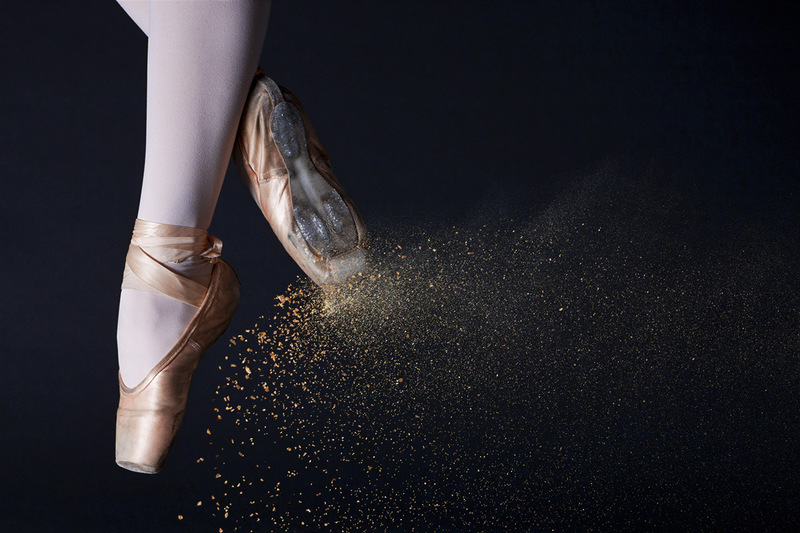 Love the image of battered ballet shoes dipped in powder! And my tolerance for tuberose is growing all the time – not much, but enough to think it *might* not be too heady on me. I think you’d be fine with it, V. You’re doing much better with tuberose than me. I really like it. It’s what I wanted from Iris Prima. GGreat review, Tara. I love T1. It’s just the right amount of tuberose for me and I love the way it oscilliates between the grown up iris and the girly tuberose. It’s a makes-me-smile sort of perfume. Thanks Sabine. Glad you’re a fan too. It does oscillate between grown up iris and girly tuberose. Very nicely put. A perfume that puts a smile on your face is always a good thing. anon, I love that picture too! I think it sums up the early stages of the perfume well. Please take no notice of tuberose being listed in the top, middle and base notes. It’s the opposite of an overpowering tuberose frag. Histoires de Parfums have a great sample service – very flexible and good value. I do thnk Tubereuse 1 is good at keeping your interest. I’ve had this sample sitting around so I tried it after reading your review! Unfortunately none of the HdPs really do well for me (on me?). I can’t get past this overwhelming plasticy powdery lipstick – and its driving me crazy. Maybe it’ll fade… we’ll see. For now my favorite tuberose is still Do Son! Hi Sun. HdP do have a very particular house style so I can understand if they don’t work for you. That’s too bad. I hear lots of good things about Diptyque’s Do Son. Well at least one worked well for you and yes, there are many other perfume houses for sure! Knowing you are such a fan of tuberose Ines, this comes as no surprise to me! I haven’t tried any of the more recent HdP perfumes, Tara, including this one, but had to chime in to tell you how delightful your review is. The images, both in terms of the photos and your words, are striking and charismatically lovely! Thanks Suzanne! That means a lot to me. Have a wonderful Christmas if I don’t speak to you before then. .